The earliest Iranian breeding records were handed over to the Society’s founders for safekeeping when the first Iranian breeding stock arrived here in 1974. 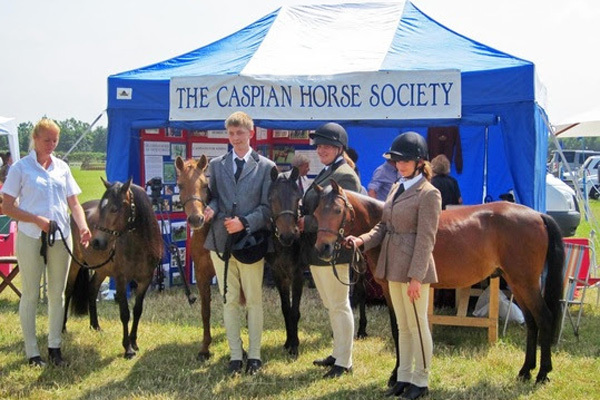 In 1978 the original society published the 1st International Caspian Stud Book, which holds details of both early Iranian and British born Caspian Horses. In 2011, the European Commission granted the Caspian Horse Society the valuable status of holding the ‘Stud Book of Origin’ (or ‘mother stud book’), guardians of the longest continuously maintained Caspian Stud Book. It is a DEFRA approved Passport Issuing Organisation for the breed. Those wishing to breed and register Caspian Horses will find detailed information on the Passports and Registrations and Stallion Licensing page. You will also find guidance for Buying and Selling on the Caspians for sale page, a list of Licensed Stallions at Stud on the Caspian Stallions at Stud page and rules and tips on showing your Caspian on the Caspian Breed Standard and Showing Rules page. New owners are welcomed and CHS will do all we can to assist you whatever you hope to do with your Caspian. If this site does not answer all your questions, please contact our Registrar Here.